The cartridge loops and pouch model also has the same woven elastic cartridge loops on the front of the holster as the ammo cover model, but sewn onto the front of the cover is an additional pouch which measures approximately 3”x5”, with a top fold flap that closes over the pouch; a great place to carry the extra needed/wanted gadgets and tools. 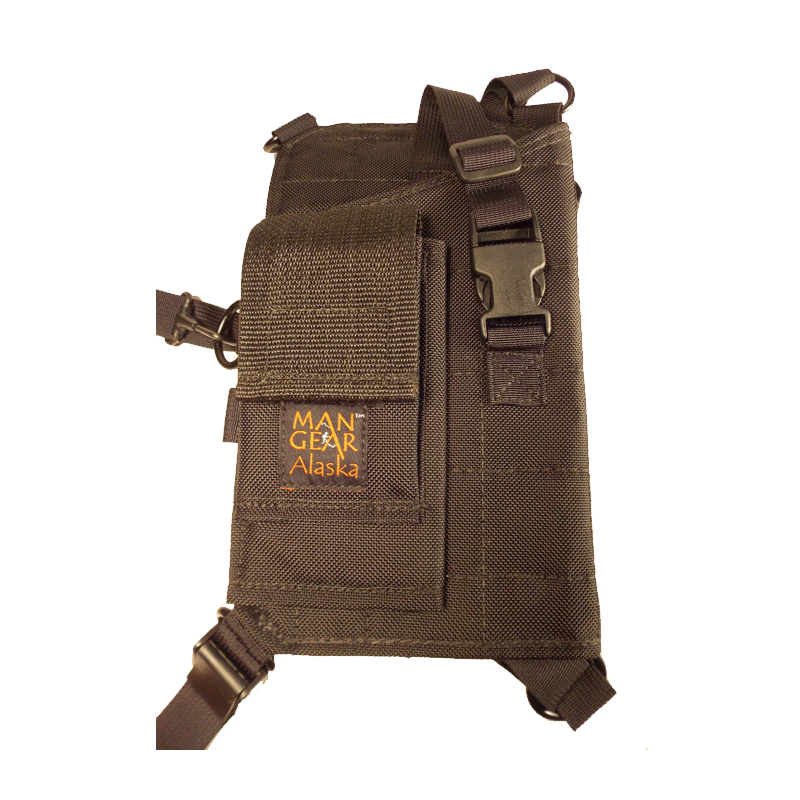 This pouch is large enough to carry a variety of GPS or multi-tool models. The 4 1/2” holster has two horizontal rows of 8 total cartridge loops which are spaced a bit further apart than the revolver models to allow for the larger cartridges. The 6 1/2” and the 8 3/8” model have three horizontal rows of 12 total cartridge loops which are spaced a bit further apart than the revolver models to allow for the larger cartridges. 3", 4 1/2", 6 1/2", 8 3/8"